Think Different is the real surprise package in the Dutch Passion autoflower collection. She has quickly established a great reputation for stunning yields and very strong weed. Even first time growers have achieved over 100g/plant and experienced growers can achieve 200g-300g+. She can grow over 1m tall in experienced hands and is a good alternative to traditional varieties, offering bumper harvests of strong cannabis just 10-11 weeks after seed germination. The genetics come from a special AK47 hybrid known as AK420. Greenhouse, 4 plants, yield 9 L jars full of completely cured bud. Have yet to weigh all but first jar 44 g. So rough calculation: 9 x 45g. Use precision scale. Basket of trim yet to turn into tincture. Worldclass results. Dosing needed. Secret: top genetics, home compost, plain top soil, rock dust , earth bottom, and exceptional summer. THANKS Dutch Passion! Heights: 60 cm, 1000cm, 110 cm and 120 cm. Hi guys I’m a first time new grower, first strain of choice was think different auto. I made a few errors along the way and lost 2 plants as well :( but hey I’m new to this. Basically I’m on the 9th week growing in coco. Another week of feeds and some PK then I’ll start to flush on my 10th week. What my concern is a lot of the leaves on the buds have turned yellow and dried up they crumble in your hand. And still a lot of white hairs not many changing colour. Could this be nitrogen, magnesium, calcium deficiency? Or could this just be as the plants life’s coming to an end? I’m really worried as I’ve put a lot of time and effort in this and don’t want it messing up now.. any help would be much appreciated thanks. Ellen 30th Dec. Yes, Think Different can be grown outdoors in the UK. For best results start her indoors under 24 hour light and plant out the seedlings at 2-3 weeks old around the start of June or end of May. Good luck! can you grow this strain outdoors in the UK? A nice strain, with a nice yield for an auto. What is easyest auto to grow, ive done the auto white widow, the auto mazar, auto snowstorm, and just finished the auto night queen. All went well apart from the auto nightqueen i made a complete mess of it and got 2oz from 6 plants. I just want to go bk to basics and grow easy what do yous reccomend ? hii guys,is anyone can tell me about light schelude for auto think different? Can Think Different be "topped of fim'ed" I'm a bit concerned about the height. Thank you. Hi folks, I'm a new grower doing so for some personal medicine, I only have one plant growing at a time. I decided to try one of these auto think different, my first grow was an unknown auto seed that yielded less than 1/4 oz. I decided to try a simple 'bubbler' system for my second grow, under 400w -sometimes dimmed down to 250w due to heat build up. I let it grow naturally just out of curiosity mostly. I didnt expect it to grow so tall, My tent is about 160cm height with the reflector taking up some room space. I should have trained it a little to keep it away from the lights and be able to increase to 600w maybe, but you live and learn :) I kept my nutrients simple, and they ph'd the water to pretty much what i red to be acceptable for hydro grow so I didnt have to do much there. I must admit I made several mistakes during the grow - letting the water resivior drop very low a couple of times, nutrient burn/lockout not sure towards end of grow, some heat stress due to it growing taller than I expected. The heat stress actually damaged the biggest cola, which seemed like one had split or ended up with two cola's merged into one, It was a square -ish shape, massive hulking thing. Silly me stressed it a bit when i turned the lights up to 600w at one point, which was too high for my small tent and too close to the plant. This top cola didn't have as much crystals and took longer to finish than the whole plant, It was still a little worse for wear but hopefully its smokeable, I have yet to see. STEVE WROTE EXACTLY WHAT I WOULD HAVE SAID. ITS A REALLY GOOD DESCRIPTION OF THINK DIFFERENT. I grew in a big pot 15L and had a few problems, my heater packed up for two weeks and I am growing indoors in winter so this killed off some plants (other seed banks), but my think different just stayed normal and took longer to Veg. Then I had a sewer flood (Nice) which meant I had to flush and re-pot. Even with all this going on my Think Different managed 1.45 Oz dry and beat my other plants to crop. Only my Dutch Passion Seeds did well!! (Good Genetics?) Anyway if you want to know what it smokes like see steve as he got it bob-on. Great Seeds. I now work on the basis that if a Seed is not right I dont use it. I will be using Think Different again. The White Widow is the same but still growing whilst the Think Different is Dried and Cureing. On 16-02-2014 at 23:56u Steve wrote: 25w ht5's to veg, 400w led for flower 6ltr pots, bio all mix with additional coffee grounds and perlite - watering: veg 6.2 and flowering 6.9 . this strain is a beauty to watch grow. big colas and lots of quite large flowers from the lower branches when scrogged. smell kicks in (or out) circa day 60-65. harvested both times on day 75-80. all grown indoors in a 1m x 1.5m tall space. averaging approx an ounce a plant (but please note i have restricted the size of the plants specifically for the discrete space i have). 9 plants in 80 days came out at about 9 ounces, and a shed load of of very frosty silver leave (i close crop). now, the bit you want to hear..... this is a strong smoker and does make your head fizz with chatter for the first 10 mins (depending on your personality this could be welcome, or construed as mild psychosis), then calms down. it feels very sativa heavy so is very energising. it smells sweet and gets very frosty. i note on curing in glass jars, the smell intensifies and starts to turn quite plummy, which is pleasant. i'm not gonna suggest this is the smoothest smoker but it defo packs a punch, and appears to be very easy to grow. i was looking for a sativa to create music with, but i've now decided this is actually a little too schitzy and strong for me to do this. important to say my friends really like it though. good effort dutch passion - all beans popped and this plant is exactly as described by our dutch friends. 'Balcony grower' , Think Different does have a strong aroma at harvest point, but generally speaking this is not one of our strongest smelling varieties. Is it possible to keep this plant in vegetative state? For mother plant. 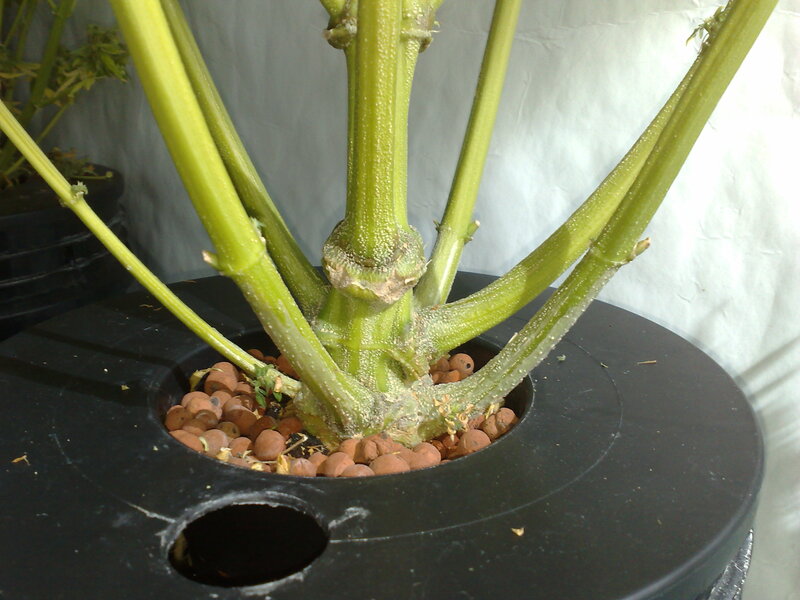 I grow SoG so it's fairly important to me that the plants have the same genetics. How many of these could you fit in a 4x4 dwc scrog setup? Hi I have grown several of these seeds on numerous occasions and have never managed to yield any more than a lolly pop stick of a bud. This time however they look like they are starting to bud after only 4weeks and are about 6 inches high. Where am I going wrong? I have a dwc system with 600w lights. Ph is kept to 5.7 and ec is increased slowly throughout from 0.1 to 2.6 please help? How many grams can i get outdoor? If want to grow - just 3 words to remember - "Dutch Passion Autos". It's as simple as that and Think Different is one of the best in all categories - taste, high, yield, easy to grow. Grew indoor, soil, 19-5 hours under 600W HPS lights. Germination to harvest was 13-16 weeks (began flowering in 5th week), harvest was 489g per m² / 0.81g per watt, only my second grow but the results went far beyond expectations. The plants grew very short and bushy, ideal for indoor confined spaces. The smoke is smooth, tastes and smells great and very strong after only 3-4 weeks drying and curing, everybody loves it. I was worried about the potency of autoflower strains but this grow proved my fears were unwarranted. I agree with all the positive comments here, this is a top seed and I cannot recommend it enough, especially if you are looking for a quick turnover. This is the recommended seed company for the best Feminized beans and perfect results so I am reaching out to the best!!!!!!!!!!!!!!!! greetings I was wondering how it would grow in a greenhouse or outdoors(remembering Im in england ha) as there are no reports, I am looking toward big bang cos of smell factor and big buddhas auto is spossed to smell like lavender,I dunno wether thats true do you dudes have a less smelly strain available, tho I must say I am impressed with the think different and its 60 sativa which is my prefered smoke....quite a lady. respect, Retro. Think Different is the first ever strain I grew at home, I'd never grown anything before this. On my first attempt, I managed to pull a massive 157g from just ONE plant. I was expecting it to be super hard to grow, but shockingly it was quite the opposite! I had a great time growing it. It smells fantastic, tastes and smokes fantastic and is very potent. In all honesty, this is one of the best cannabis strains I've EVER smoked. I cannot recommend it enough, it's a perfect place to start growing if you're interested in autoflowering varities. You won't be disappointed with Think Different, I guarantee it! Hey fellas! Hounddod(you aint nothing but a hounddog! )yeah Elvis rocks!Besides answer on your question....growing one,today im starting flushing with FinalPhase,im gonna do 10 days of flushing with it,and last im gonna throw 30liters of ph 5.5 balanced water true,and cut the beauty.For now,huge central bud,very much like AK-48,or 47,im growing her in 11 liter container,so i expect yield should be maybe 30-40grams,because i basiclly forgot on this girl,to much other stuff....but amber starting closeing now,brown hairs on buds maybe 30%,or so.Anyway smell is just....just incredible,cant wait to try it.I already now this is gonna be A grade stuff. Hope i answer ur question! (and i would say yes for this strain,just use 20liter container or hydro,already when seedlings ger few main leaves,and use some root boosters,so it will make spider web,also,i can tell everyone been useing Advanced nutrients SensiZym(1-4th week flower.and im amazed,im useing it on my skunk 1,coz im connoseur i love try new straiins,and i now im gonna use SensiZym on every plant)even 300% more root mass. (it says on box)well i cant verify that,but looking buds in 3rd week...thats crazy....like end of 4th.Also im useing always BioBizz BioHeaven for make plants heathy and protect them) Greetings, TrichlomesLikeStars! 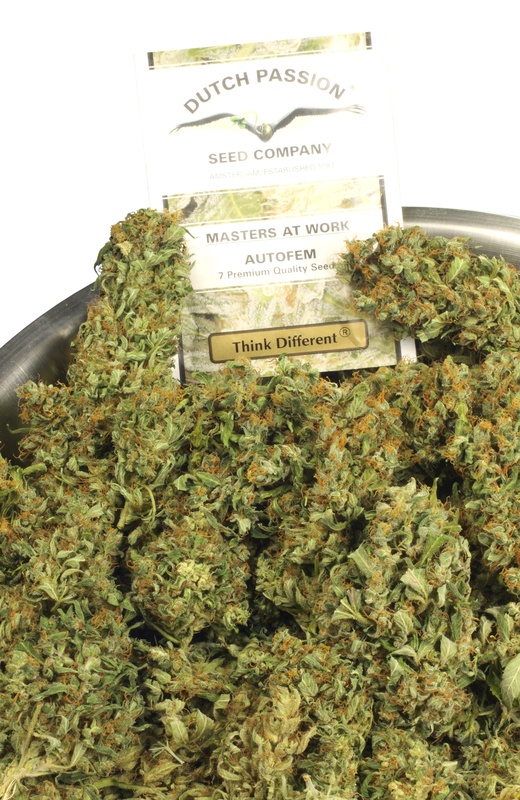 I got my Think Different seeds direct from Dutch Passion the first week that they were launched after that grow diary on the internet with 350gram yield. I also got sent a free Dutch Passion lighter for being one of the first orders so thanks to DP. I planted a 7-pack and ended up with 6 females in my NFT system under a 600W air cooled tube with HESI nutrients. Total yield avearged at 70 gram per plant and it was a TOP smoke, it was def my best grow yet. I want to get an LED grow light but I can't afford it yet, so in the meantime I decided to get a DWC hydroponic system which will cost me around 200 euro including the air pump. The main comment for me is that the smoke was great quality, for me it was the best weed I had ever grown and as good as anything I had smoked in years - and it gets better with a good cure lol. My weed will last me ages so it worked out as a great choice of variety to grow. With the yields from Think Different you prolly only have to grow it once a year realistically. Obviously I cant say how good this weed is for med growers but for me it was like 70 days to get a years supply of quality sensi and real easy to grow yo.